There was a Service on Saturday 16 March at St. Peter’s Church as usual at 11am. Hymns were led by Sue Ann Henderson with Frances as our pianist. *Following the terrible tradgedy in Christchurch New Zealand, our church is sending a card to the Watford Mosque. We all signed this card after the service. *Please pray for Tony Shevlane. He has recently been in Hospital with an infection. He may need an operation. We also signed a card for Tony. 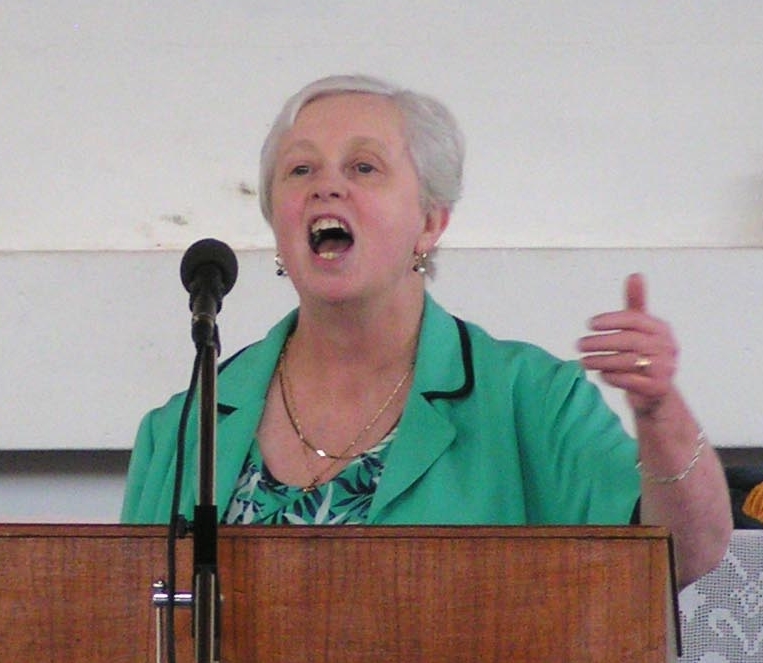 *Les McCulloch, who some years ago was our Regional Director, died on March 11th. His funeral will take place on Thursday 20th March. Please pray for his wife Marion. *Gavin Henderson announces the date for our Denominational Conference, to be 10th-11th November in Northampton. Reading: Linda Halford then read Isaiah 55:3-11. *Our Heavenly Father, you are with us and your eyes are everywhere. We pray for the people of Christchurch New Zealand. Please help all the victims of this tragedy and their families. We pray that the Muslims will not seek retaliation but peace. Let us all be more tolerant with each other as we wait for your Kingdom. *We ask you to heal Tony and reduce his pain. *Debbie Hindle is very ill with cancer. Please give wisdom and guidance to her doctors for her next treatment. *Peter Buckley and Blossom are no longer able to attend church. Please give them comfort and let them feel your love. *We ask you to give peace and comfort to the family and friends of Les McCulloch. *We thank you for Frances here today and the Watford Town Centre Chaplaincy. They are a wonderful light in Watford. Please give them strength, guidance and wisdom. *It is difficult to understand our Parliament at the moment. There is confusion. Please be with our leaders and show them the way forward to work together for the benefit of all people. *Thankyou for our protection and the love you give to us. Reading: Sue Ann read Matthew 3:3-13. John the Baptist and Jesus. 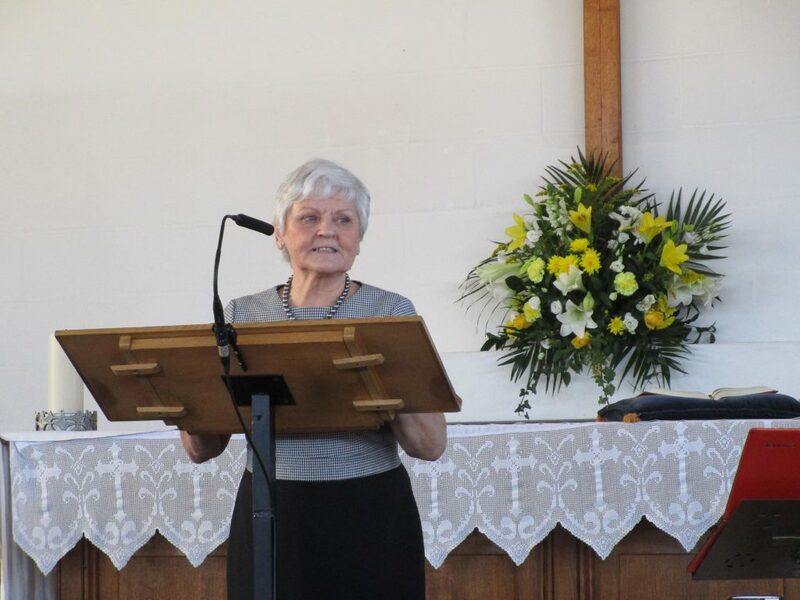 The Message was given by Frances Novillo, the Watford Town Chaplain. 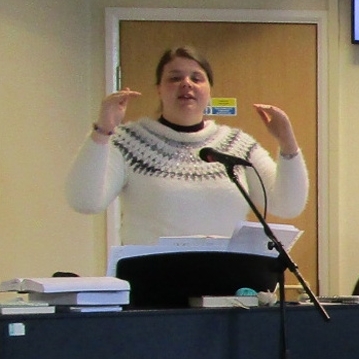 As lead Chaplain in Watford, Frances provides chaplaincy for the staff of the Into Shopping Centre, co-ordinates the volunteers (including Street Angels) and runs the charity. Previously, she worked for 20 years as a Police Chaplain. Before she began her message, Frances taught us a new hymn, Pour Your Spirit Over Me. She played the piano as we all sang. items needed to help the people. Slippers, foil blankets and phone chargers. They also accompany people to the Taxi Rank. Watford now has a thriving night time economy. Crime has been reduced and for this Watford has been awarded a Purple Flag from the Home Office. Mostly Christian and some non-Christian Street Angels share the love of God with the people of Watford. Everything they do is always upheld in prayer. Some people ask why they are being so nice to them. Volunteers receive training and demonstrate God’s love. It is all about our personal faith in God because he gives us so much. baptism. Matthew 3. God does not need us or anything, we seek to serve him. Acts 17:25. We don’t know what a difference we make in people’s lives. We must persevere because God’s ways are not our ways. If anyone would like to be part of this work in Watford, please contact Sueann. 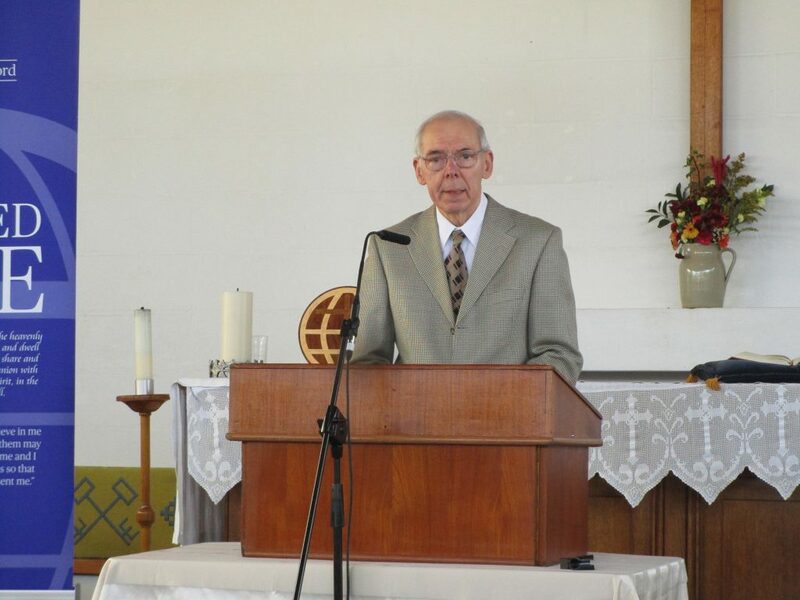 The Final Hymn was Shine Jesus Shine after which the Closing Prayer was given by Phillip Halford. 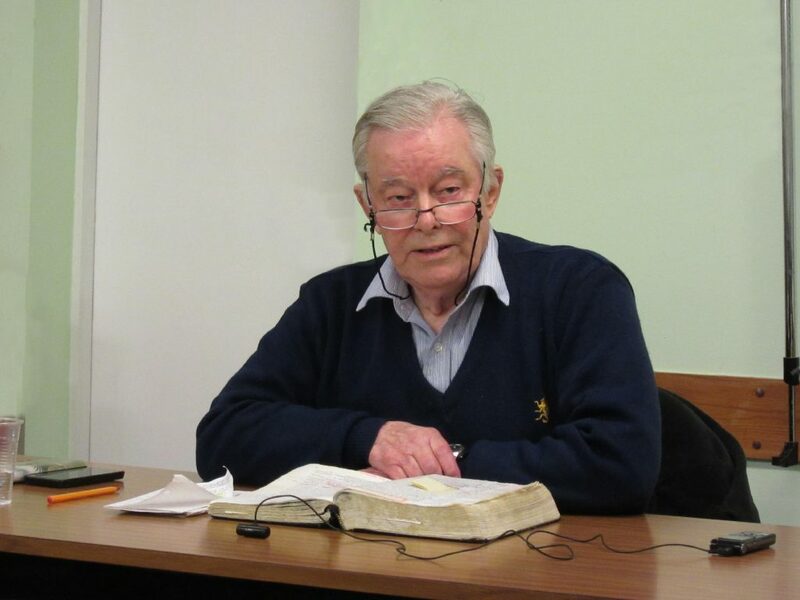 The Bricket Wood Bible Study took place on Friday night, 15th March. This is a biweekly Bible Study open to anyone and begins at 7:30pm. Around 9pm we have refreshments before we go home. The Study is examining in detail the book of 1 John. This evening the study was led by Mike Barlow who gave an over on the love of God, which is the central theme of 1 John–God is love.